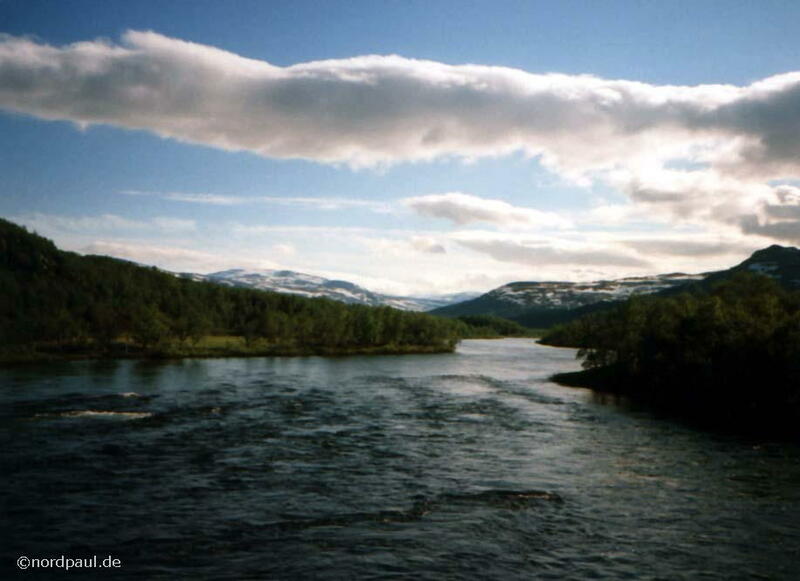 The following report is a small hiking guide for the Abisko valley in the north of Sweden. 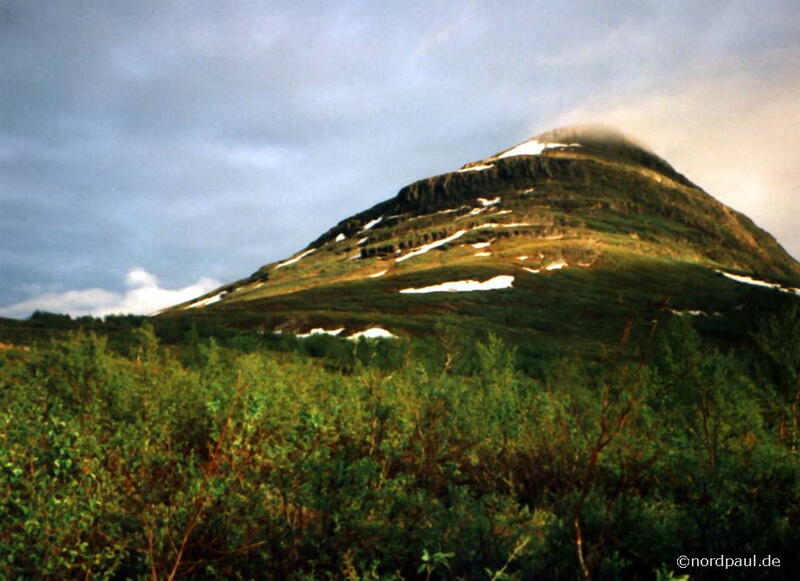 There begins the hiking trail "Kungsleden". In the summer 1997 we went by train from Berlin (in the late evening) via Sassnitz and Trelleborg to Stockholm (late afternoon). The night train toward the Polar Circle started in the evening. After reaching Abisko and the lake Torneträsk in the north of Sweden in the following afternoon we had finished more than forty hours of travel. In the summer time the sun does not set in this part of Lappland for a few days. So it is never dark at night. Abisko is devided into two parts: there is the old town with the supermarket "ICA" and there is the tourist station with a hotel and a little shop. 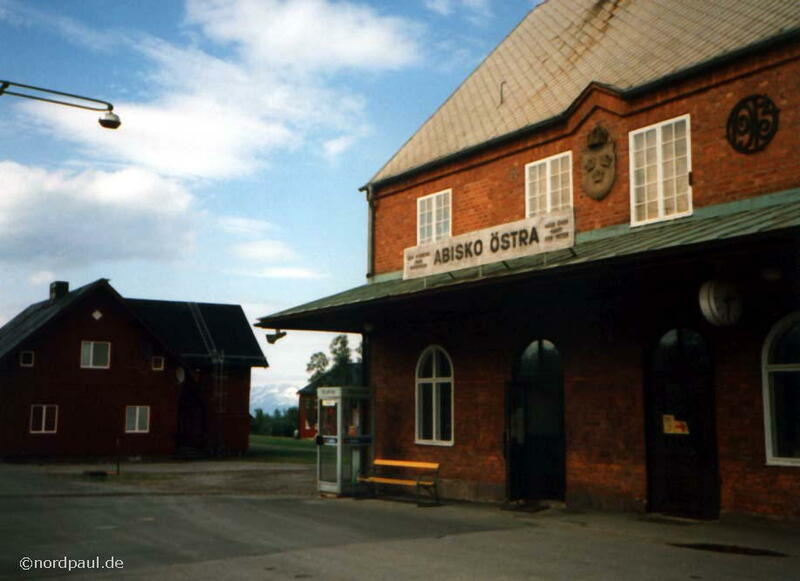 In both parts you find a railway station: "Abisko Östra" und "Abisko Turiststation". 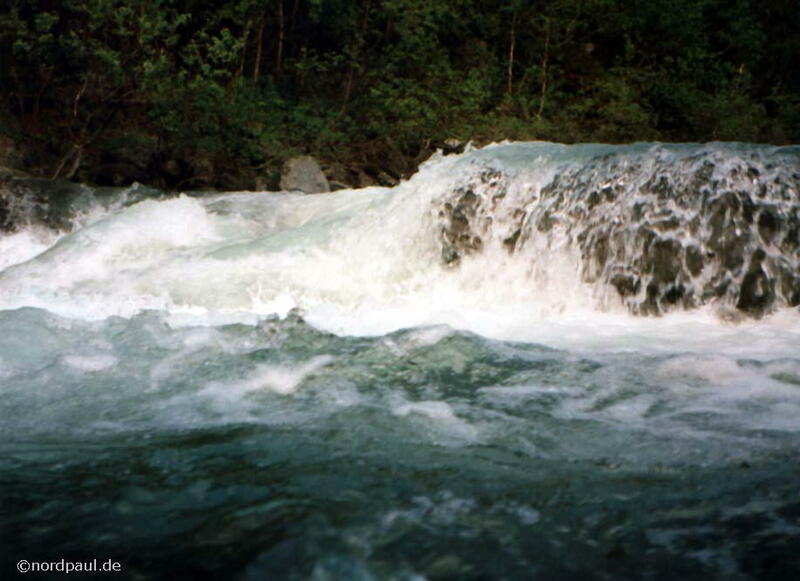 The second one is situated already in the Abisko National Park (75 km²). From Abisko you can see the mountains called "Lapporten" - the Gate of Lappland. 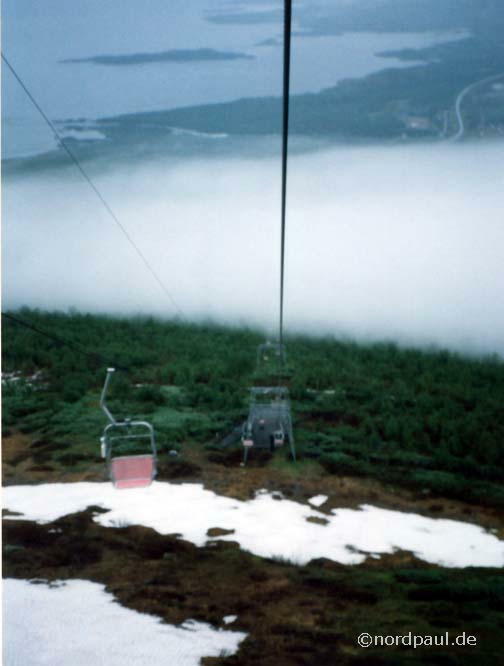 Before leaving Abisko we took the cableway upwards to the mountain Njulla (1169 meters high) at midnight. But it was too cloudy to see the midnight sun (possible until July the 16th). 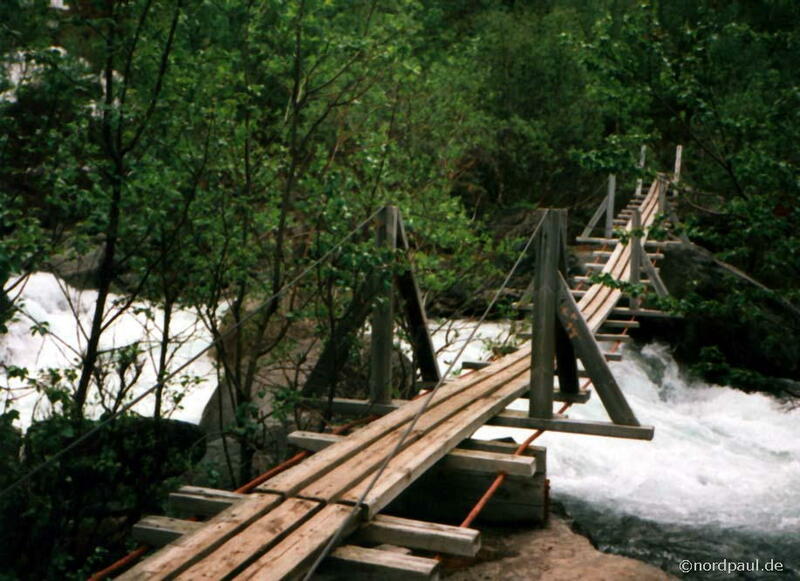 In Abisko starts the well-known hiking path "Kungsleden" (Path of the King) and continues toward the south to the highest mountain of Sweden, to Kebnekaise with more than 2100 meter. At first the path is surrounded by small trees, later you have only bushes and a great view into the distance. After leaving the National Park the mountain area becomes once more meager. Sometimes we still saw some isolated snow fields. 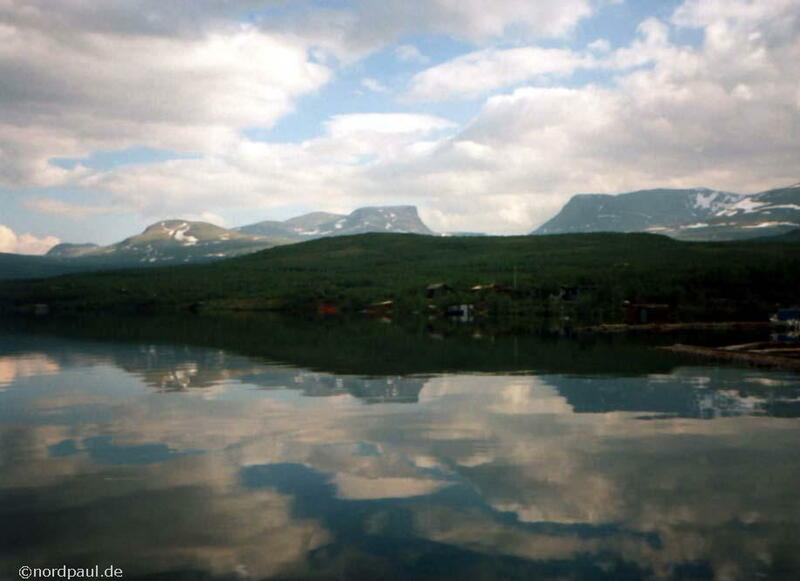 The mountain massif of the Kieron was visible on the left side the whole time (Kieron means in native Sami language: Girun). 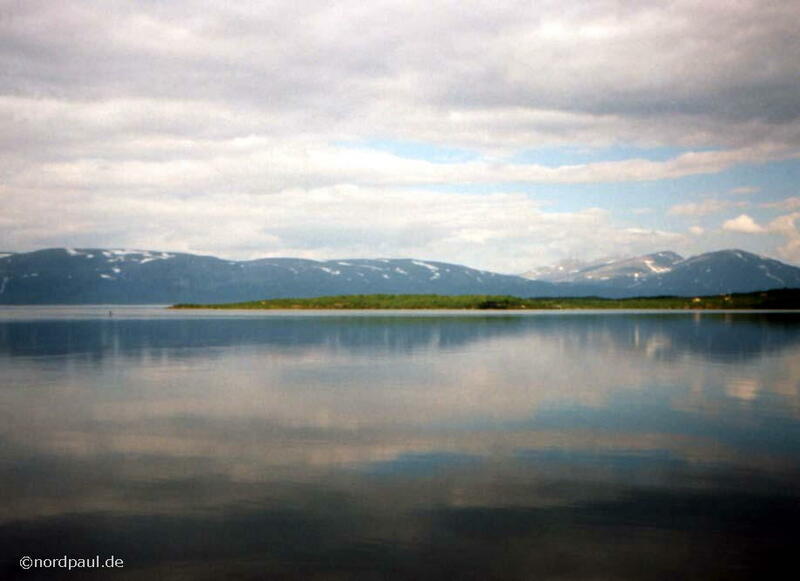 In the Abisko National Park it is not permitted to put up the tents anywhere. But there are two official places for camping: the first is situated at the Nissunjohka and not to far away from the railway station (and for free), the second campground is at the other end of the National Park and you have to pay something. The Kungsled is a good timber plank way which can be somewhat rotten in only a few places. We did not hike up to the Kebnekaise on the Kungsled. We just walked to the Kartinvare (in Sami language: Gárddenvárri, 1155 meter). 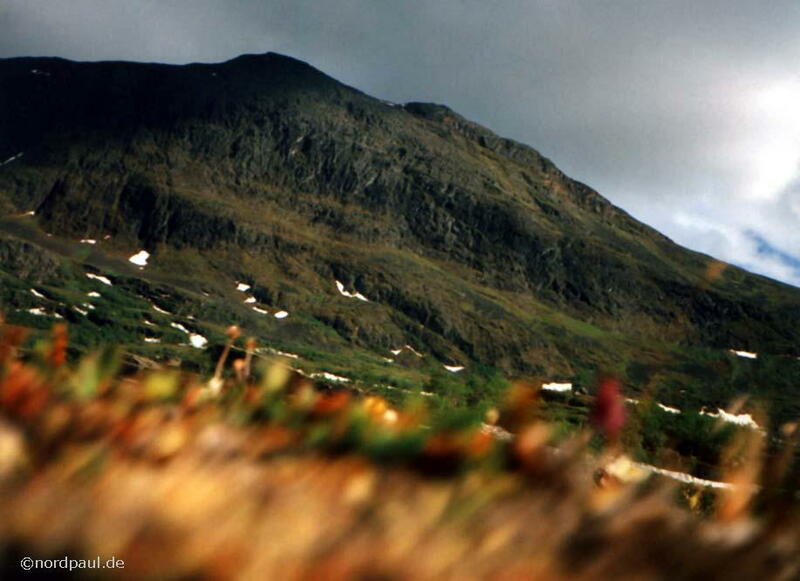 The Kartinvare is a very good viewpoint into all directions, also in the direction of Kebnekaise. 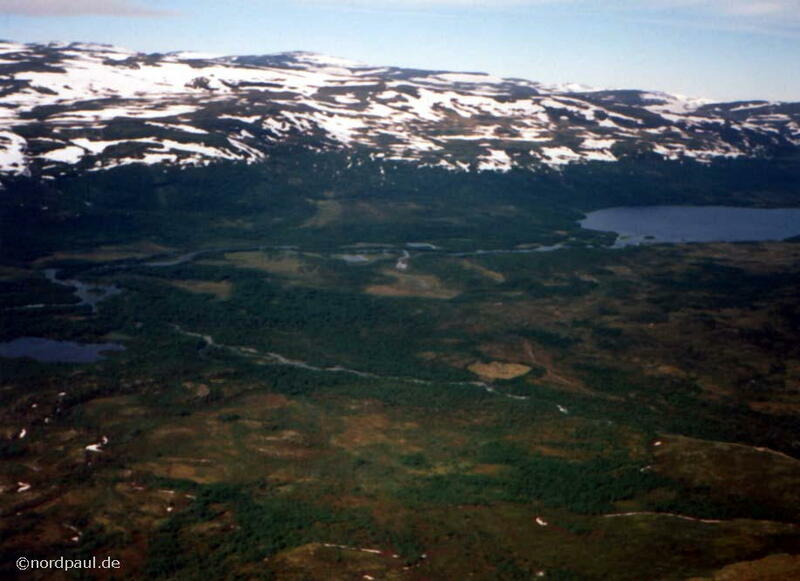 By the way the Abisko valley is the rainpoorest area of Sweden with only 298 millimeters rain in a year. And watch out! At the first campground (Tältplats Nissunjohka) our tent stood near by the river - and in the morning also partly inside the water! 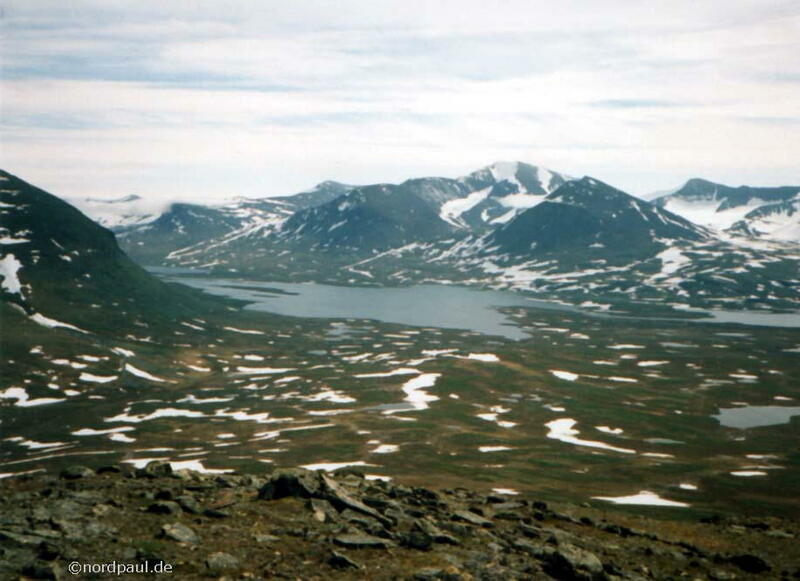 Maybe one day I will hike on at this great trail Kungsleden.